The Fort Worth ISD congratulates the more than 30 student-athletes who signed letters of intent to play sports on scholarship at colleges and universities across the country. 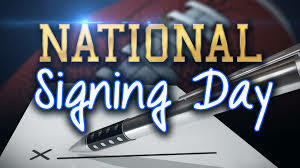 The District held its National Signing Day ceremony on Wednesday, February 6, 2019, at the Wilkerson-Greines Activity Center. PHS had 7 student athletes recognized for signing to play collegiate sports.